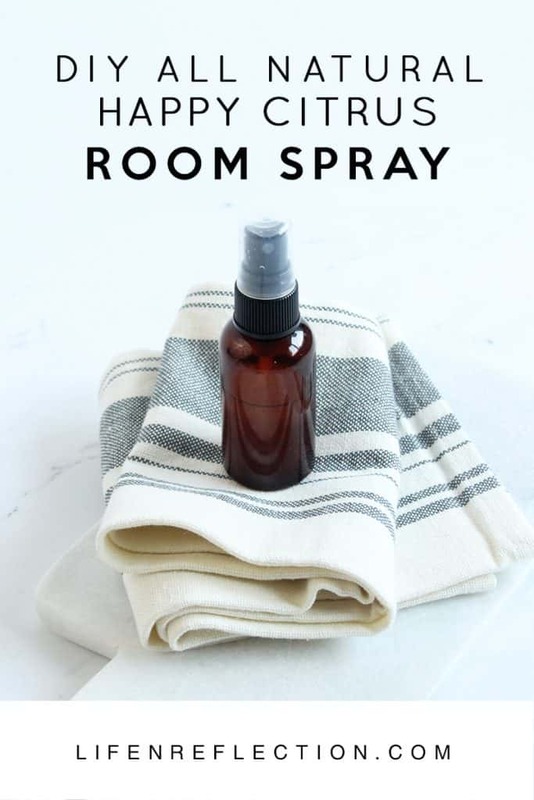 I love how a mist or two of room spray can make a space smell amazing in seconds! 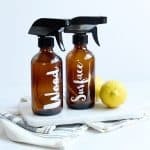 I’ve been using them for years to banish odors in the kitchen and bathroom or just to freshen up any space. Problem is until a few years ago, I was buying mainstream air fresheners until I learned about the hazardous chemicals found in those. Including phthalates, hormone-disrupting chemicals that are a health risk to babies, young children, men, and women (Powers, 2007). And if I’m really honest, I noticed many store-bought air fresheners caused me to sneeze or worse have a migraine headache. Thankfully there are alternatives to chemical room sprays. 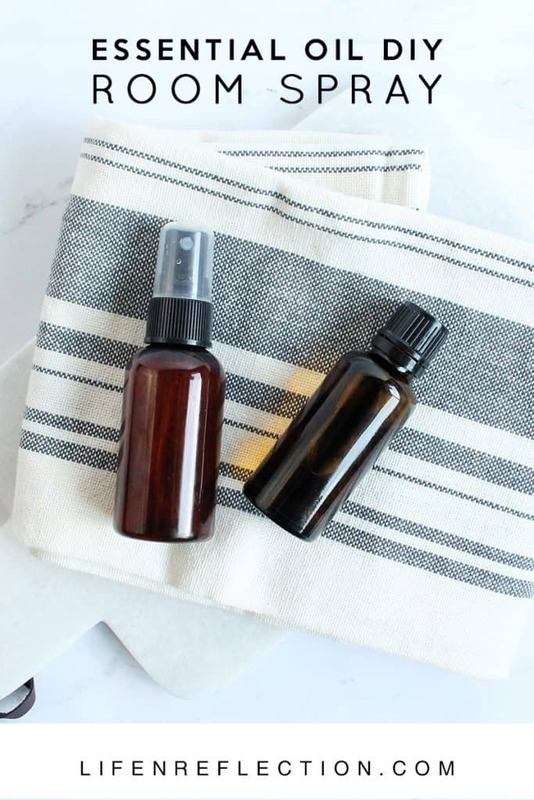 You can create a completely all natural DIY essential oil room spray in just a few minutes. 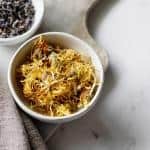 And all you need is 3 basic ingredients – water, vodka, and essential oil. After making several room sprays I discovered vodka works best! Unlike baking soda, vodka leaves no residue yet still naturally deodorizes. And it’s practically scent free compared to rubbing alcohol. I’ve learned cheap vodka works just as well as the vodka in my husband’s bar. 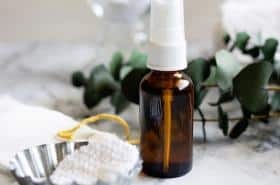 Moreover, when you use vodka in a room spray the alcohol emulsifies the essential oils, so you don’t have to shake it before use! Using a funnel pour half a cup of distilled water and 2 tablespoons of vodka into a spray bottle. Add half a teaspoon of Epsom salt and 6 drops each of orange and grapefruit essential oils. Close the lid on the bottle and shake well to combine. A spray bottle with a fine mist is recommended. 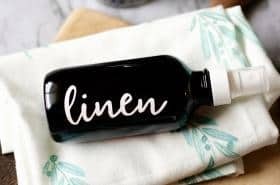 Add a printable room spray label to your spray bottle. Grab a sheet of 18 printable labels and more in the Life-n-Reflection Resource Library. 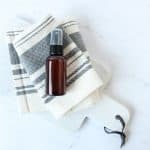 Use this DIY essential oil room spray recipe to freshen carpets or linens too. Just don’t mist electronics or wood surfaces. 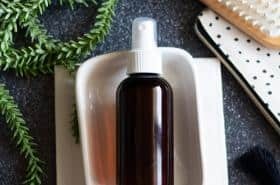 As as an added bonus, the vodka in this recipe makes this room spray anti-fungal and antibacterial. Now, that’s a good thing to spraying into the air, versus phthalates! 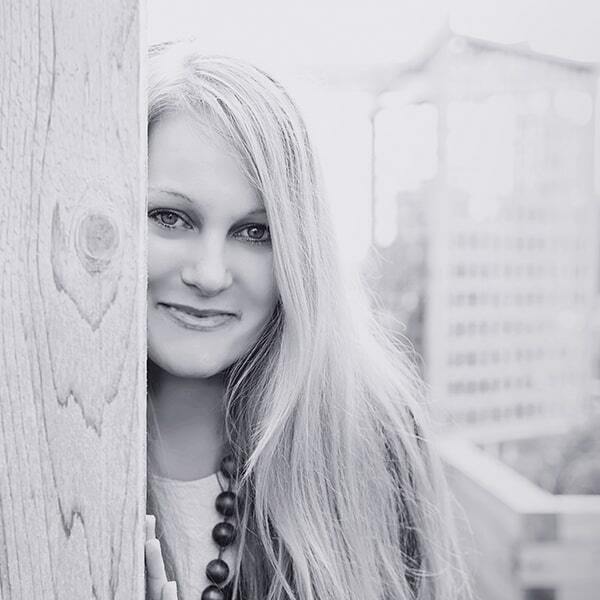 Find more room spray recipes in my book Aromatherapy: A Practical Guide for Home and Family. 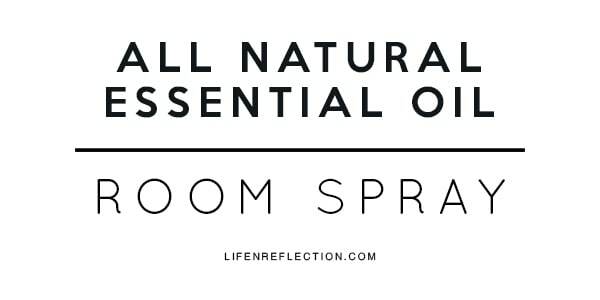 I’ve never put Epsom salt in my sprays before — what a great additive! 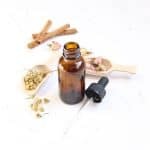 The combination of those oils sounds just perfect to brighten and spruce up any room. 🙂 Thanks so much for sharing your recipe! Thanks, Amanda, it works really well. 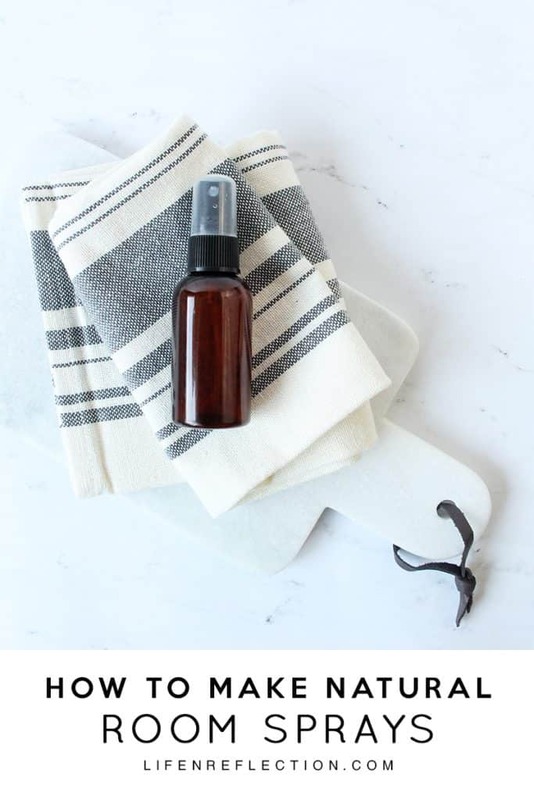 I recommend using witch hazel when you are making face mists.